BRASILICUM (AUS/BRA/NZL/SWE) www.brasilicum.net - Brasilicum mixes Brazilian styles as Samba, Bossa Nova, Forró, Baião and Capoeira, with Pop, Jazz, and Electronica. Swedish pianist and songwriter Erici makes his personal tribute to Brazilian Popular Music and involves musicians from Brazil, Sweden, Australia and New Zealand. The album was nominated to Manifest in 2009, the biggest Swedish Independent Music prize. 1. INTRO – the airborne arrival to the spectacular Rio de Janeiro. Special appearance by legendary Brazilian percussionist Marcelo Salazar. 2. BRASIL – expectations of a huge and unknown country. 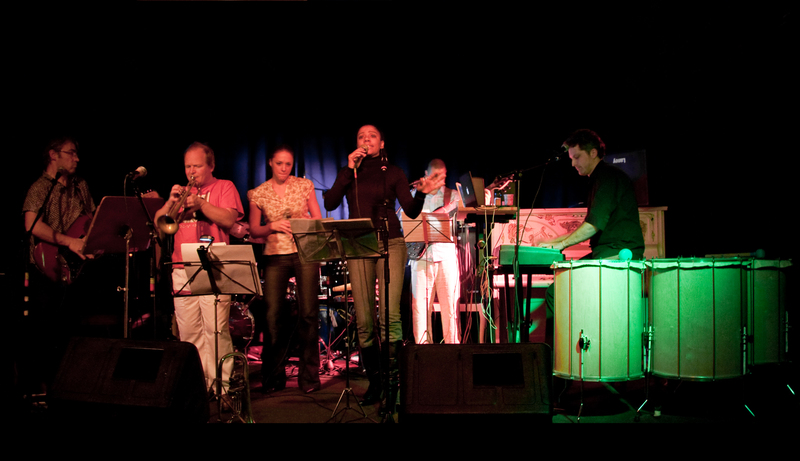 North Eastern rhythms like Baião and Maracatú are mixed with Samba and Electronica. Brazilian singer Mila Conde features together with North Eastern percussionist Beto Madureira. 3. THE CAPOEIRA – developed by African slaves the Capoeira seems more like a graceful dance, rather than a fight, initially created for protection and liberation from the Portuguese surpressors. Pandeiro master, Marcus Suzano, appears together with percussionist Bill Lucas in this song with a strong flavour of Salvador and Bahia. 4. FINO MULATO – the imaginative growing up of a young boy in the favela hills of Rio. In this seventies style Samba Funk, Brazilian singer Zanna, also from the marvelous city, tells a beautiful story. Jorge Ben percussionist Ovídio features on cuíca. 5. COMIDA MINEIRA/FOOD OF MINAS – the food of Minas Gerais is famous all over Brazil for tasteful dishes and beautiful desserts. Australian singer Diana Clark and guitarist Doug de Vries features with Mineran cavaquinhovirtous Warley Henrigues in this Samba. 6. SAUDADE TONIGHT – saudade is a Brazilian word that can not be fully translated, a longing for something or someone. Jaques Morelenbaum, legendary cellist behind artists like Bossa Nova master Tom Jobim, Caetano Veloso and Sting, makes a special appearance in this Bossa with Swedish Pop singer Mikael Lundstedt. 7. THAT CALL – the operators voice directs this ballad about a long distance call. Swedish singer Maria Rylander appears together with Brazilian trumpet player Guilherme Dias Gomes. 8. SUMMERS BH – Brazils third city Belo Horizonte, or BH, is known for rainy summers with powerful thunderstorms. Swedish singer Katarina Nilsson, sings about a foreigner that walks through the hills, with rain, pouring onto his mental wounds. Mineran guitarists Aliéksey Vianna and Warley Mascarenhas appears in this slow Bossa. 9. PERNAMBUCO MANIA – Pernambuco in the North East of Brazil, is a poor but joyful state that burst out in festivities during carneval time. This Baião and Forró influensed song features Australian singer Neda Rahmani, Brazilian João Lyra on 10 string guitar, Mhano da Silva on accordion, and percussionist Firmino, on zabumba. 10. SAMPA RUSH HOUR – Marcus Suzano, virtuoso on the pandeiro, appears on this instrumental track together with flutist and clarinetist Marcelo Carvelcenti Bernerdes and Swedish saxofon player Niklas Gunham. São Paulo, or Sampa, is Brazils biggest city, with 17 million people creating a tempo and lifestyle very different from the rest of the country. 11. NEGOCINHO – In this instrumental collage Swedish Chilean percussionist Paulo Murga works his way through the Brazilian percussion, starting with the tribal berimbau. Brazilian Rock percussionist Baía features on Bahian timbal. 12. 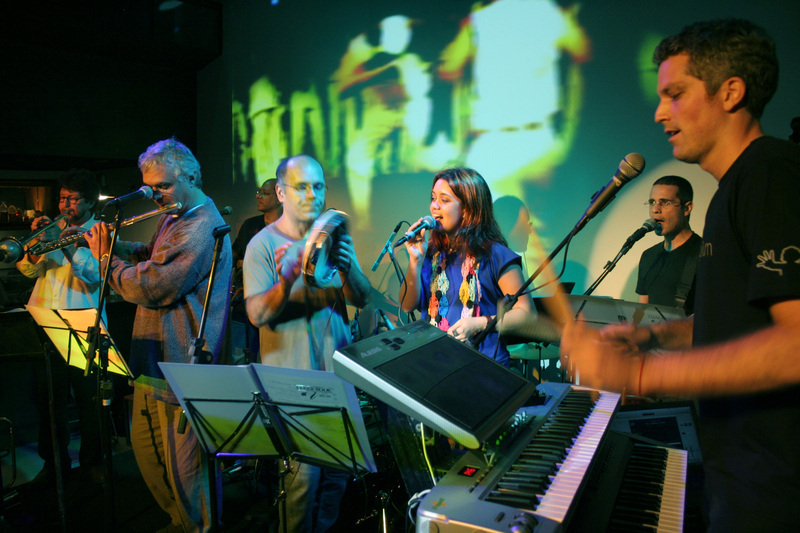 BRASILICUM – the synthesis of musicians from all over the world with one thing in common, the passion for Brazilian Popular Music. This Batucada influenced track features Australian percussionist Mark Grunden and Brazilian percussionist Bill Lucas. 13. MEDITATION – as a very spiritual place, Brazil invites to meditation. Brazilian percussion master Marcelo Salazar improvises with Swedish musicians and sounds from Recife, Pernambuco. 14. BRAZIL (English version) – Swedish singer Ida Olsson appears on the English version of Brasil. 15. THE CAPOEIRA – ZANNA.NET REMIX - Zanna made this ambient, groovy version of The Capoeira song. 16. BRAZIL – WISEMAN REMIX - Sean Wiseman brings a tasty Chill Out version of Brazil. 17. SUMMERS BH – DJ ELEMENT07 REMIX - Summers BH turned into House by Dj Element07. Erici grew up on an island in the Baltic Sea. In his early years he learnt to play the piano and write music. 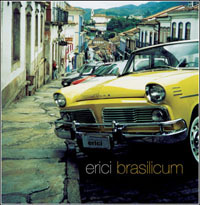 Once he switched onto the Bossa Nova section on his new electric organ, in the mid eighties, Erici fell in love with the sounds of Brazil. Two decades later he traveled to Brazil to research the music. The work resulted in a written essay, Brazilian Cannibalism and Songwriting, and later turned into the BRASILICUM concept. Erici have a university degree in composition and has worked with Classical, Jazz, Folk and Contemporary music. He has been involved in several groups, like Ida Olsson Quartett, Just Like Wood and Trio Erici.